A memoir of a true Southasian, Under the Same Sky narrates a deeply personal experience of the transformation of the Indian subcontinent through the greater part of the 20th century, tinted with the hopes and dreams, sorrows and struggles of Perveen Ahmad and those close to her. Witness to the dissection of an ancient land bound together by history, tradition and culture, Perveen Ahmad was, in her own words, ‘an alloy of several cultures’, a quintessential example of the melding of peoples that has long defined the Indian subcontinent. Her childhood was spent in a railway colony in Allahabad, her formative years and early adulthood spent in Lahore, in the newly born country of Pakistan. And finally, she chose to become a citizen of Bangladesh, accompanying her Bengali husband, the renowned playwright Sayeed Ahmad, to the newly liberated nation and making it her own through her activism and entrepreneurial work for women’s empowerment. This memoir, not unlike the author herself, is an alloy. It is at once a historical narrative of some of the most defining moments in the subcontinent’s formation, a lyrical journey through the life of a woman with some singular experiences and a thoughtful rumination on culture, identity and self-expression in the context of the subcontinent by a keen, insightful mind and an empathetic soul. 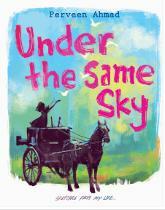 Under the Same Sky will attract readers interested in different historical perspectives, personal memoirs enlivened by unique experiences and those drawn to distinctive voices with distinctive thoughts and views.